Sherline utilizes the same power head combination on all lathes and mills. This headstock features a spindle that rides in large 20 mm bearings at each end with an adjustable preload nut located behind the pulley. The spindle nose has a 3/4-16 external thread and #1 Morse internal taper. The through hole is .405 (10mm) in diameter. The powerful DC motor offers its maximum torque at low RPM where you need it most in machining. This means it offers far more useable power than an AC/DC motor of equivalent or larger size. It also offers smoother and quieter operation than an AC/DC motor. 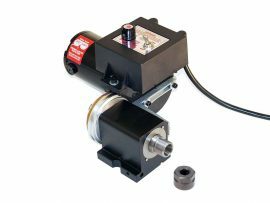 When running the spindle at the higher speeds made possible by the pulley set used on the 3307, the cutting tools are usually very small in size, so a lot of torque is not required. Although the second pulley position lowers the speed range down to that of the standard headstock, the motor provides so much torque that most users find they can leave the pulleys set in the high-speed position even when doing more demanding milling jobs with larger cutting tools and lower speeds. To power, and control the motor a more sophisticated speed control unit is required. This unit accepts any incoming AC current from 100 VAC to 240 VAC, 50 or 60 Hz and automatically outputs 90V DC to the motor, so this unit can be used anywhere in the world without a transformer. All you need is the correct wall plug or converter. Once the on/off switch is switched to the “ON” position, a speed control knob is used to vary the speed over the entire range. 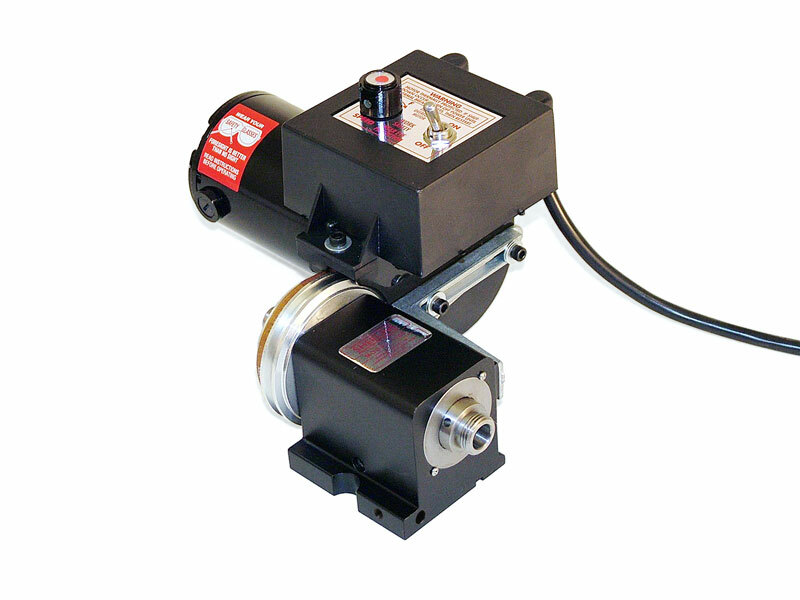 With the pulley in the “normal” position, the speed range is about 70 to 2800 RPM. In the “high torque” position the maximum speed is cut in half but torque at any given speed is much greater. 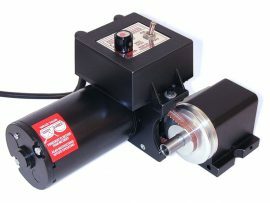 This unit can be purchased to replace an existing AC/DC motor on an older Sherline machine, to turn a mill XYZ base into a complete mill so that you don’t have to swap power units back and forth from the lathe or as a stand-alone unit for custom tooling designs. This very compact and well-engineered unit costs far less than other DC units of similar power offered in major industrial tool supply catalogs. NOTE: In some places in the Sherline literature these may be referred to as 33060 and 33070 with the 5-digit part number. That is from when these were considered “replacement parts” rather than accessories, and we are trying to find and correct instances of the 5-digit number for these two assemblies. If you find one, please let us know and refer to the web page where the error is found. Temperature rise at ambient 50° C.
Less than or equal to 45° C.
The 3308 would replace the standard headstock, motor and speed control assembly that come on Sherline machines. The ER-16 nut that ships with your order may be plain or have a black oxide finish.